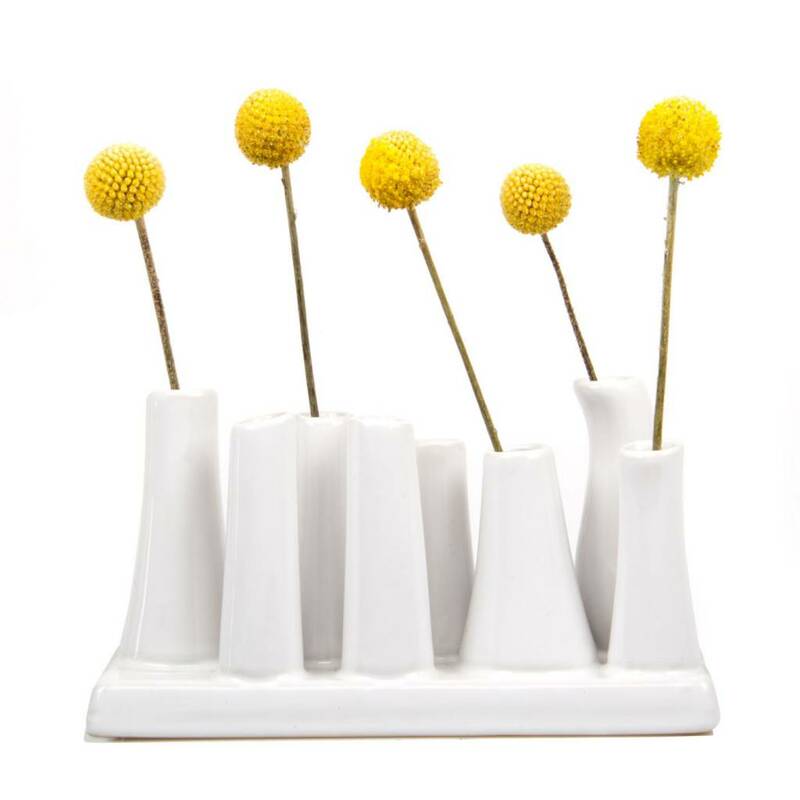 Chive's pooley 2, a clever 8-tube vase, features eight tubular ceramic bud vases arranged across a white ceramic linear base, so you can arrange multiple stems in this bright vase set of varying heights. 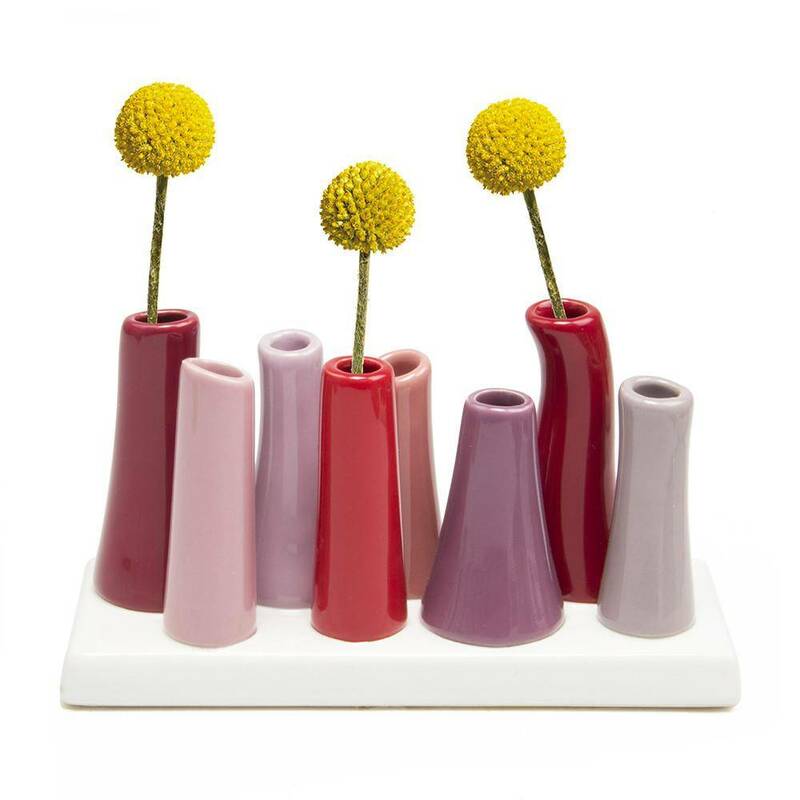 The vases share the same base, so you don't need to fuss with arranging multiple vases. 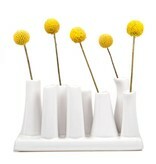 Pooley 2 does that work for you! 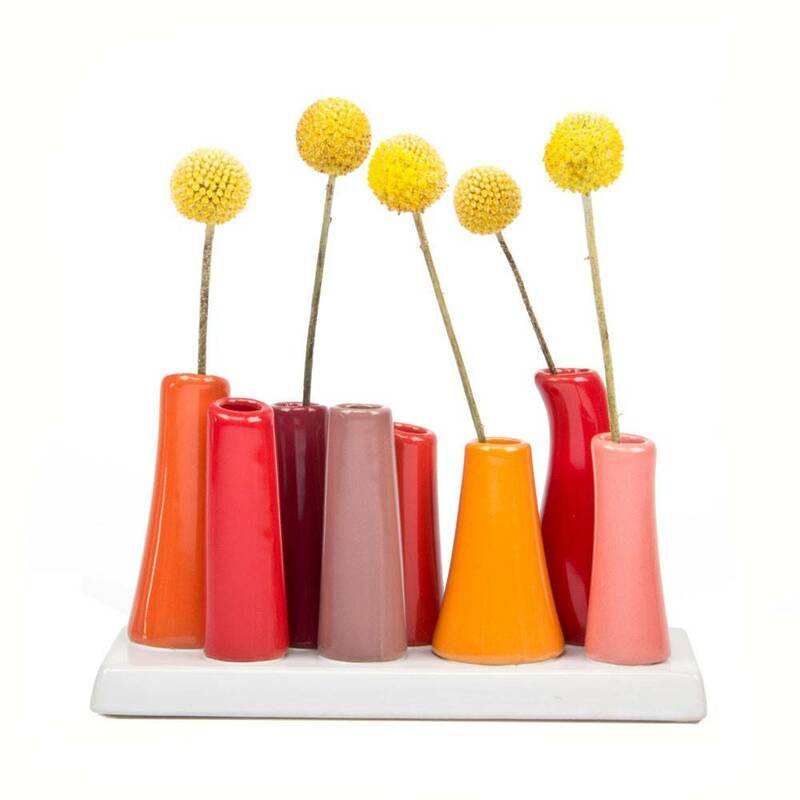 These have been hot sellers since the day they were introduced to Heavenly Metal. 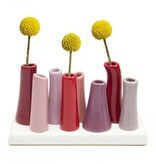 Pooley 2 vases are a great hostess gift, valentine's day gift, mother's day gift, . 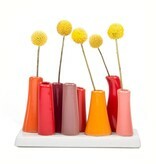 . . and are to brighten up your home with sweet flower buds.